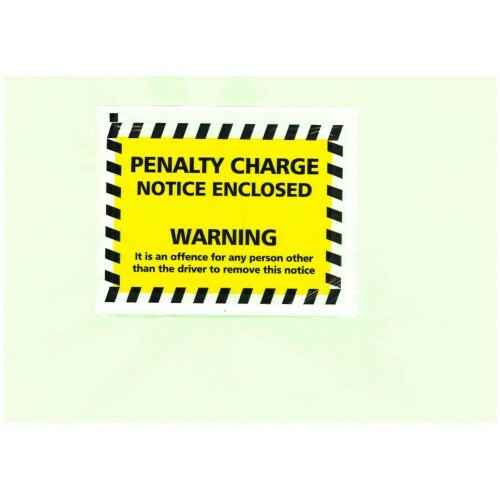 Our range of yellow and black parking penalty charge notice enclosed wallets are designed to be attached to the vehicle windscreen with the documents inside to keep them dry and clean. Self adhesive wallet gives top performance and improved efficiency. Manufactured from oxo-biodegradable film. For our standard parking ticket wallets available place an order here. If you require a bespoke version, then contact 01604 438188 and ask for more details.